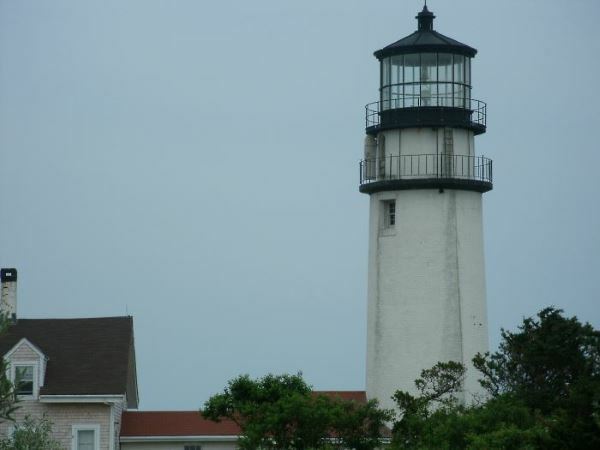 The Best Cape Cod Towns: Which Vacation Town to Choose? 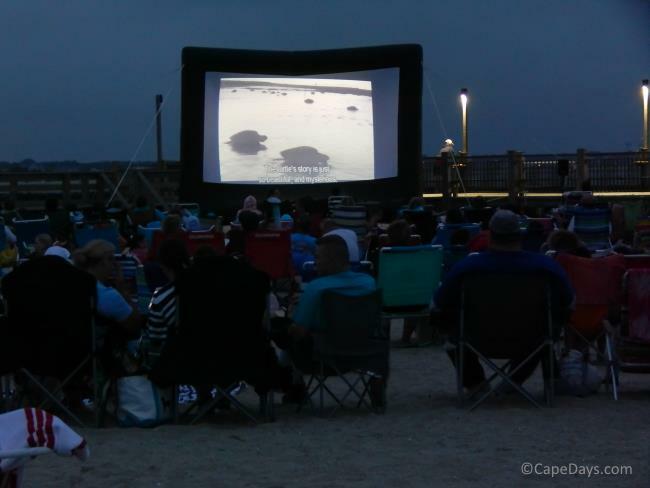 Are you wondering which Cape Cod towns would be best for your upcoming vacation? Believe me, you're not alone! Lots of first-time visitors struggle with the "where to stay?" question. Not to worry, though. With a little help from yours truly, you'll find your perfect Cape Cod vacation spot in no time flat! First, let's get you oriented to which towns are where. Click any town name on the map for a detailed town profile. Are you looking for a Colonial seaside town with tree-shaded streets, a laid-back pace, and history around every corner? 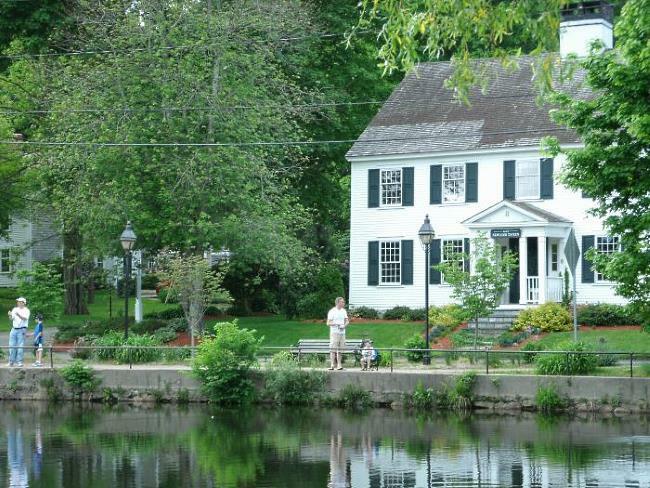 These towns and villages have that "Olde Cape Cod" feel, through and through. Commercialism is at a minimum here, and our conservation commissions are doing a fantastic job keeping it that way. You won't find any name-brand hotels, fast-food joints, tacky tee-shirt shops, or glaring neon signs in these towns. Instead, historic inns, small country motels, lovely B&Bs, and a wide range of vacation rentals offer plenty of choices for places to stay. Dining options in these Cape Cod towns range from seasonal seafood shacks, to year-round pizza shops and eateries, with a few excellent upscale restaurants here and there. Choose any of the lovely towns or villages along Old Kings Highway for a relaxing getaway that'll have you feeling like you've stepped back in time! Do you want to stay in a place that offers an abundance of kid-approved stuff like miniature golf (a/k/a "putt putt golf"), souvenir shops, parks and playgrounds, teen-popular beaches, movie theaters, easy biking trails (you get the idea!)? 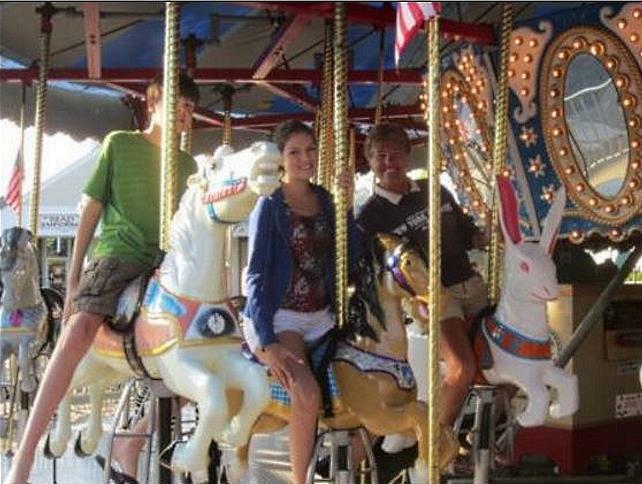 Important FYI: Cape Cod is family friendly from one end to the other. The main reason I've chosen these towns as the "best" for families with kids is because they offer pretty much everything your on-the-go gang could ask for. Another factor that makes these towns attractive to vacationing families is that they offer an almost mind-boggling variety of very reasonably priced lodging options. Whether you prefer a hotel or motel with a pool, a full-service resort with organized kids activities, or a reasonably priced waterfront cottage that's just a short walk to the beach and the ice cream shop - you won't have to look far to find it. Insider Tip: For those of you who've heard the tales of bumper-to-bumper summer traffic in this part of Cape Cod, let me put your mind at rest. It's true that Rt. 28 in Falmouth, Hyannis, West Yarmouth, South Yarmouth and into West Dennis is a busy stretch of road. And it's a little too commercialized for some people's tastes. But ... what many visitors don't realize is that once you get off Rt. 28 and onto the side streets, it's a whole different world. More quaint, much more quiet, and considerably less traffic-y. These best thing about these towns is that they're a delicate blend of back-to-nature environment, very little commercialism, and easy access to traditional tourist activities and attractions whenever you're in the mood. These towns are the perfect vacation spots for anyone who loves kayaking, biking, touring lighthouses, whale watching, having beach campfires, fishing, and playing in the Ocean surf. For week-long or longer stays in this area, a vacation rental is definitely the way to go for lodging. For shorter stays, there are plenty of traditional accommodations (hotels and motels) in Orleans, Eastham and North Truro, and nice B&Bs everywhere. When it's time to go out for a bite to eat, you'll find a good selection of restaurants of all flavors and price ranges within a few mile drive of anywhere you're staying. The only possible "downside" to staying in these towns is that many of the lodgings and dining establishments close down for the off-season. If you're planning to visit any time from mid-October to mid-May, your best bet for lodging and dining will be in Orleans, or all the way north in Provincetown. ... everyday folks like us can certainly enjoy the classic elegance of these towns, too! 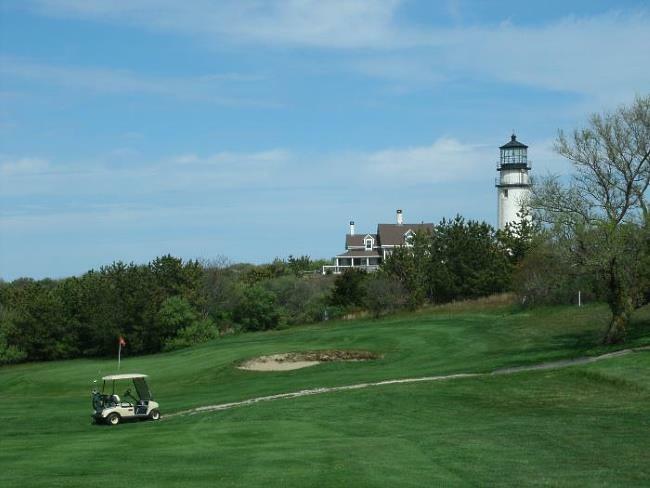 Go for full-service pampering at the renowned Chatham Bars Inn, Wequassett Resort, or the Mansion at Ocean Edge. 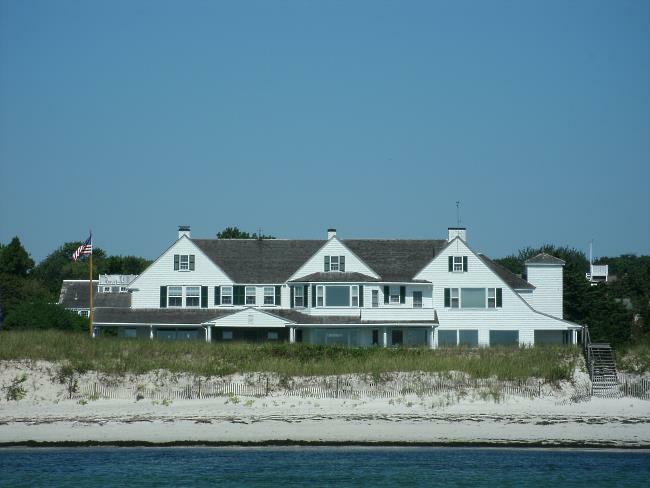 Or opt for a more wallet-friendly hotel, inn or vacation rental in Chatham, Brewster, Osterville or Hyannisport. Whichever you choose, you'll no doubt love the upscale ambiance of these quintessentially Cape Cod towns. And when it comes to dining, the choices are wide-ranging. From corner coffee shops to 5-star restaurants, your palate will be well satisfied, too! 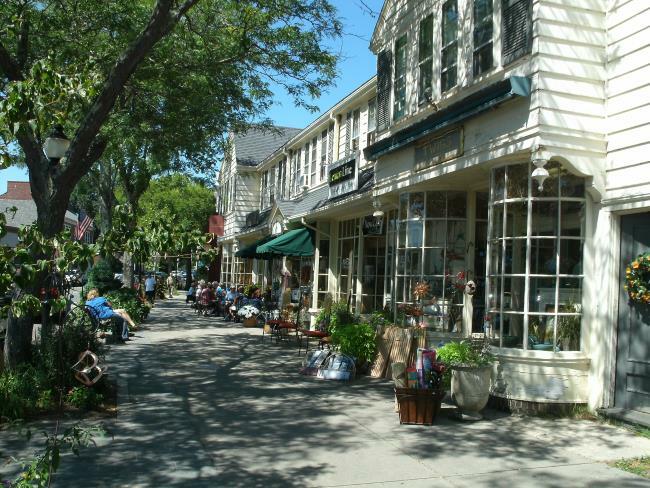 In these towns, and to some extent in Mashpee at the popular shopping and entertainment venue Mashpee Commons, restaurants, pubs, theater and music abound. As you might expect, lodgings and dining spots are varied and plentiful in these towns, too. Whether you'd like a beachside inn in Falmouth, a name-brand hotel in Hyannis, a vacation cottage in Orleans, or a pet-friendly B&B in Provincetown ... whatever your preference might be, it's there just waiting for you to check in! If your goal is to find the best beach town on Cape Cod, you're in for a real treat ... and a bit more research. 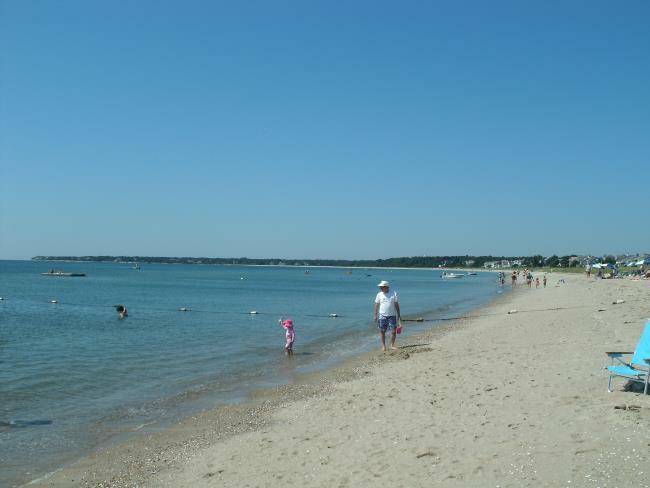 Every Cape Cod town has at least one fantabulous beach, and most have lots more than one. 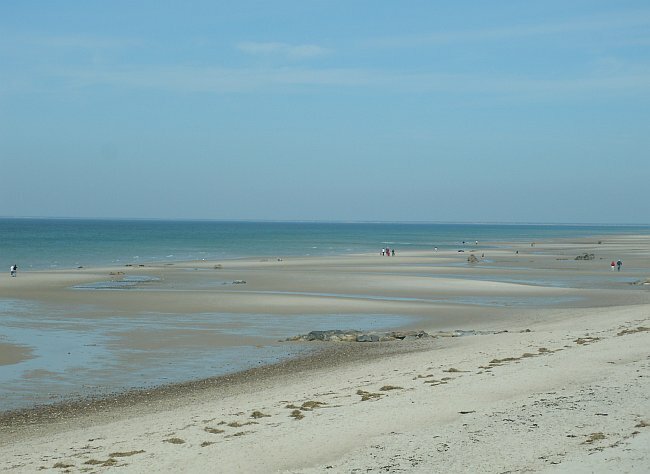 To make the choices even more mind-boggling, each of the 5 different bodies of salt water surrounding Cape Cod has a distinct "feel" to its beaches. So how do you choose the best beachy location for your vacation home base? May I suggest you peruse my beach guides to get your feet wet on the differences - virtually speaking, of course! 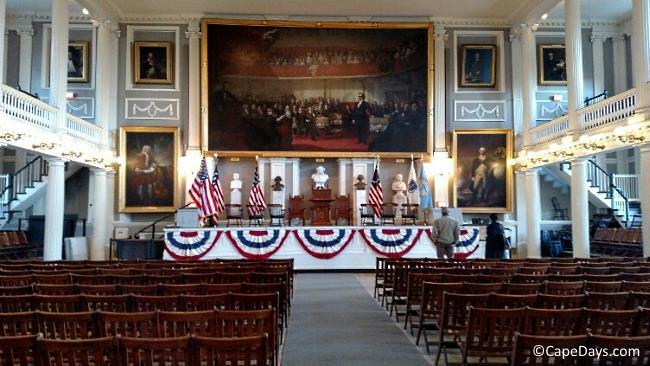 Are you planning to take day trips around Cape Cod? 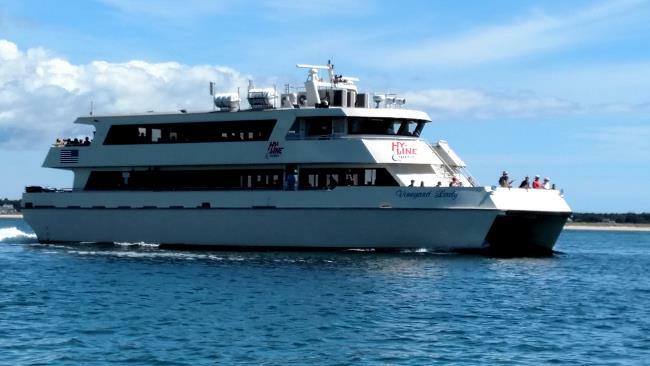 Will you be hopping the ferry for a visit to Nantucket or Martha's Vineyard? If so, staying somewhere that's centrally located will minimize your driving time and maximize your fun time once you get where you're going. They're all perfect jumping-off spots for exploring from one end of the Cape to the other - and convenient for catching a ferry to Nantucket or Martha's Vineyard, too. Are you looking for a place to stay on Cape Cod without a car? Somewhere you can walk from your lodging to restaurants, shops, museums, beaches, and attractions? In Falmouth Village, Hyannis, Harwichport, and Chatham, you'll find plenty to see and do (and eat!) 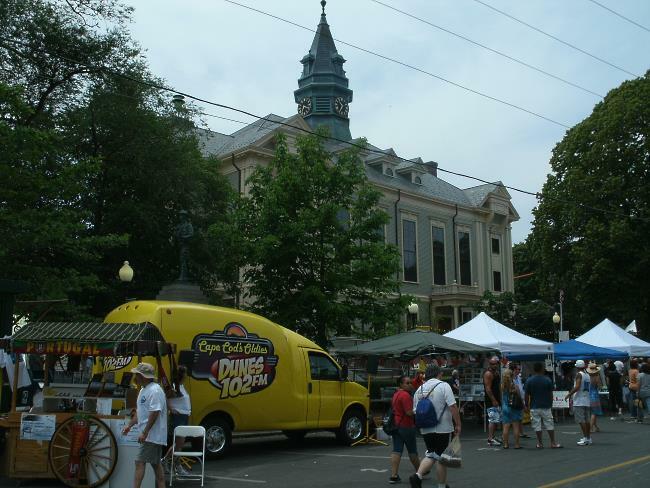 downtown - but your options for in-town lodging and "walk-to" beaches will be limited. In Provincetown, it's all right there for you in the downtown area. Plus, there's a seasonal shuttle that'll haul you and your gear to excellent beaches that are beyond walking distance. Yay! 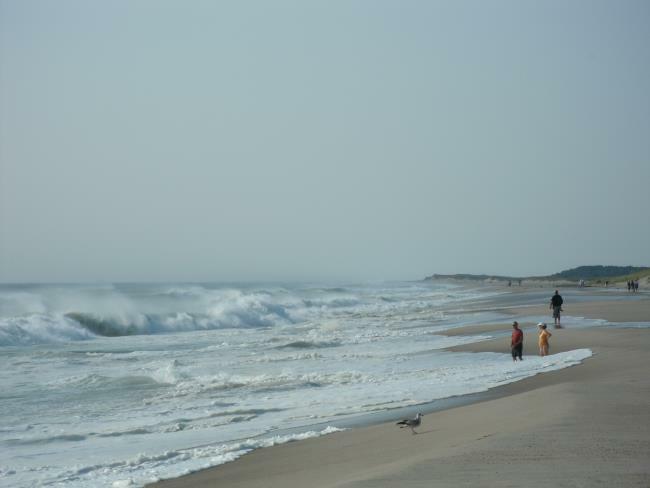 Find Your Best Place to Stay on Cape Cod! Go forth and explore each town on the map. 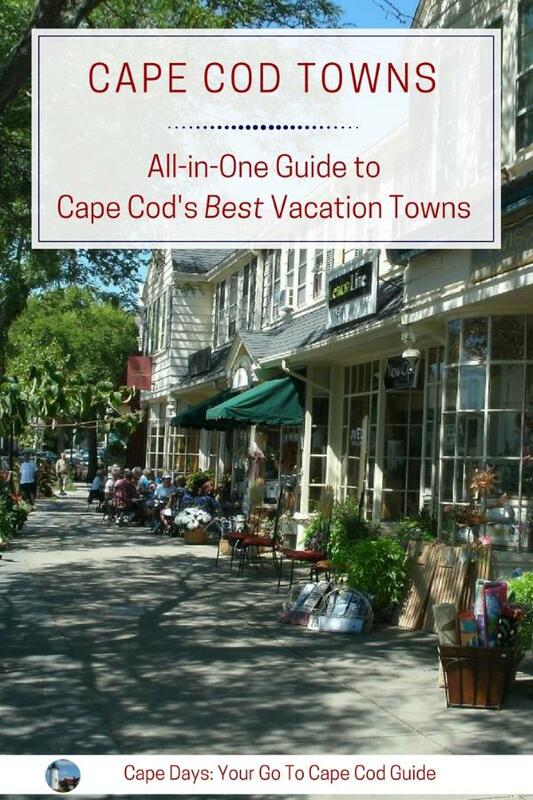 You'll find your perfect Cape Cod vacation town in no time, I'm sure!